For starters, it’s ambitious. It’s the theatre’s first in-house production with fully integrated BSL, which is incredibly exciting for me personally, as a deaf theatre-maker and audience member. As much as I love an interpreter, I’d always rather watch the play as it happens onstage, rather than a single-person translation taking place so far from the action it may as well be in the next town. 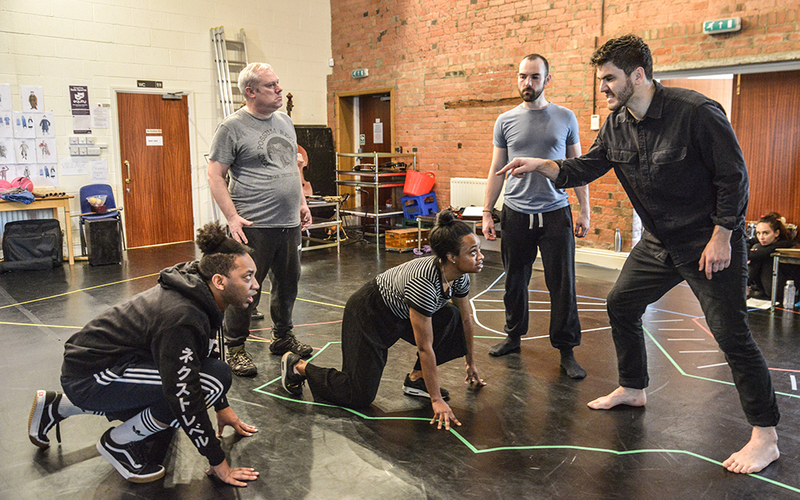 It’s become clear even from these first few days in the rehearsal room that The Jungle Book is going to showcase a whole host of visual communication; BSL, SSE, gesture, universal sign, good old physical storytelling – you name it, we’re using it. As a society (and particularly in the deaf community) we all naturally communicate in so many different ways, and having the opportunity to show that variety onstage is just fantastic. We’ve also got 30 community cast members, alongside the 10 actors in the day cast – as well as acting, some of these guys are signing, some are singing, some are playing musical instruments… it’s fair to say they’re a multi-talented bunch and we’re making them prove it! And I also have high hopes that in the near future, productions like this will no longer be ‘ambitious’ or a ‘learning curve’. They’re just going to be. Wouldn’t that be just wonderful? So we’ve just complete the second week of rehearsals for Jungle Book – we’re halfway through (if you don’t count the terrifying darkness of tech week, which I always find it best not to…). We’ve managed to work through the whole script, deciding who is on stage, what they’re doing, if they’re playing any instruments or, more importantly, bringing my hourly coffee. From here on in, it’s all about polishing the performance, finding the little moments of humour and tenderness, practising the musical numbers and generally making the show as spectacular as possible. In my role as Associate Director, I’ve really enjoyed bringing into the room my knowledge of British Sign Language, Deaf Culture and integrated access. Often this is something I only get one or two days to do – so to have it as part of the creative process from day one is always something special. 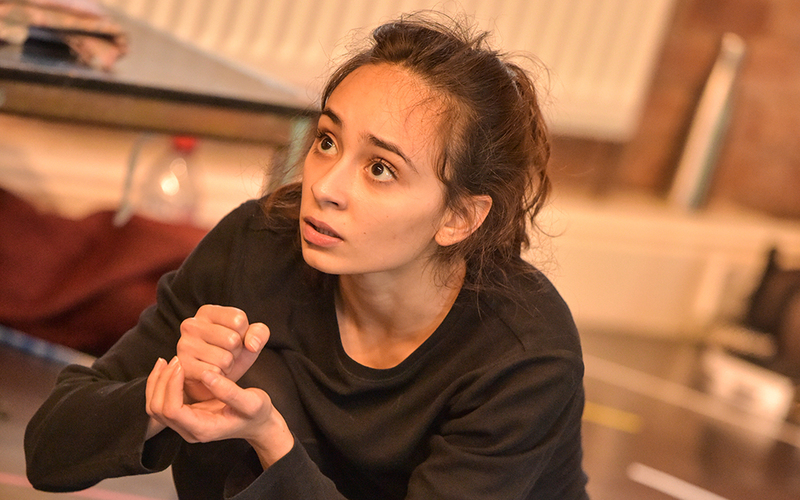 It’s also fun to have the space to play with the access; we’ve got captions, shadow interpreting, characters signing to each other, visual storytelling, signed songs and even the odd eavesdropper passing comment… It’s a direct reflection of how we’re working in the rehearsal room, actually! One of the main things I’m learning from our director, Sarah Brigham, is how to work with such large groups while still encouraging and supporting everyone to achieve their best. Although I have directed before, this is the first time I’ve been working on such a large scale production from this side of the table. I’ve always been one of the group standing up before, rather than the person trying to keep everything under control!